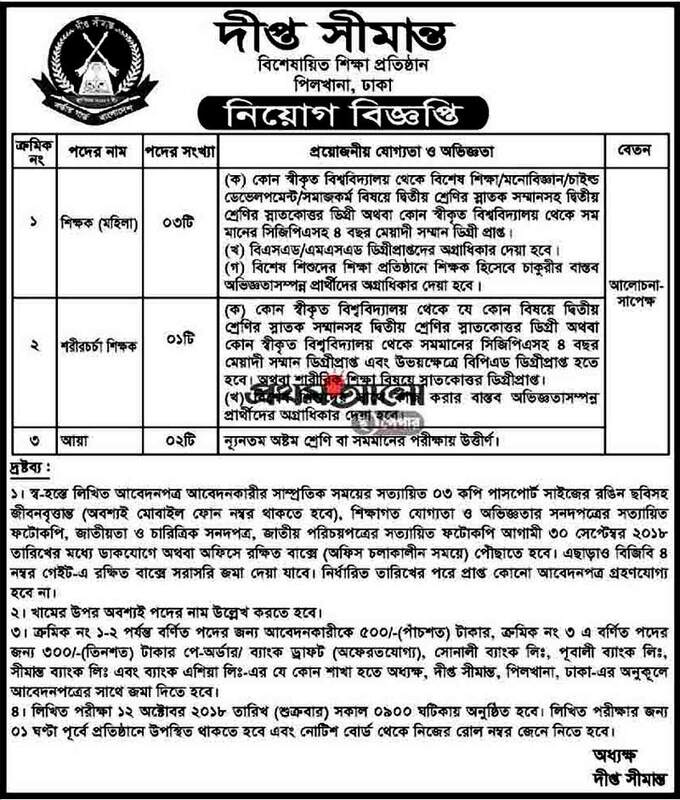 Border Guard Bangladesh Job Circular 2018 has published. This job circular only SMS based. SMS apply start 11th September 2018 and close of this job SMS 15th September 2018. Border Guard Bangladesh (BGB) Job Circular 2018 vacant positions for many categories like Staff Nurse, Family Welfare Assistant, Midwife, Ward boy, Assistant OBM Driver, Assistant Launch Driver, Machinist, Tailor, Bootmaker etc. Border Guard Bangladesh (BGB) Job Circular 2018 related all important information and circular is available on my website. Career is all about choosing one’s own vision; it’s more than about choosing his/her job. So eligible candidates are requested to apply for the positions. The last date for applying this Job is 15th September 2018. To know more details please see the original Job Circular. The Job circular image file is given below. Border Guard Bangladesh Job Circular 2018. 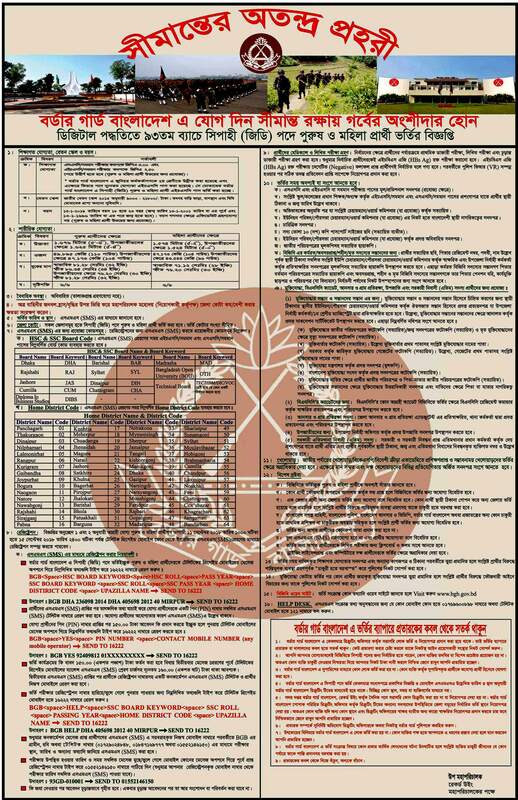 ■ Job Description: Border Guard Bangladesh (BGB) Job Circular 3rd and 4th class employees recruited. ■ How to Apply: Apply to SMS Method. Border Guard Bangladesh (BGB) Job Circular 2018 job Circular is eligible for Civil people of Bangladesh. This application procedure by SMS method and those who are selected for the exam also sent to SMS to every candidate. Male and female candidates selected this recruitment process of this job circular. Any kind of persuasion/ canvassing in any stage of the selection process shall be treated as disqualification. Border Guard Bangladesh (BGB) only shortlisted candidates will be invited for an interview. Border Guard Bangladesh reserves the right to accept or reject any application without assigning any reason. Border Guard Bangladesh Job Circular 2018.